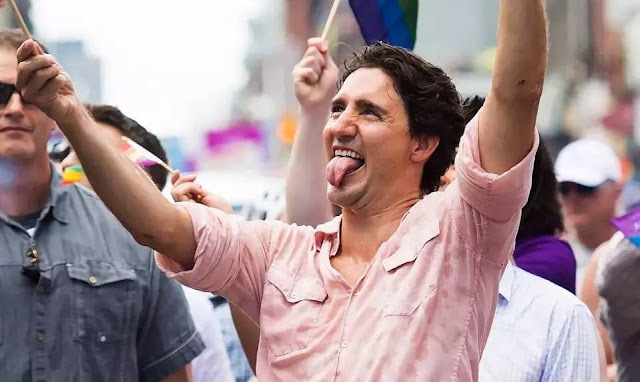 Ijust saw Trudeau’s press conference in Kelowna. It is obvious that flake-head has, after two years, learned his lines well, as one would expect of a former high school drama teacher. His impassioned rant about Canada’s “values” and tradition of “welcoming” refugees and immigrants pushed all the right emotional buttons and employed all of the standard cliches. When he was done, I was looking for a quick path to the bathroom. Fortunately the lid was up. 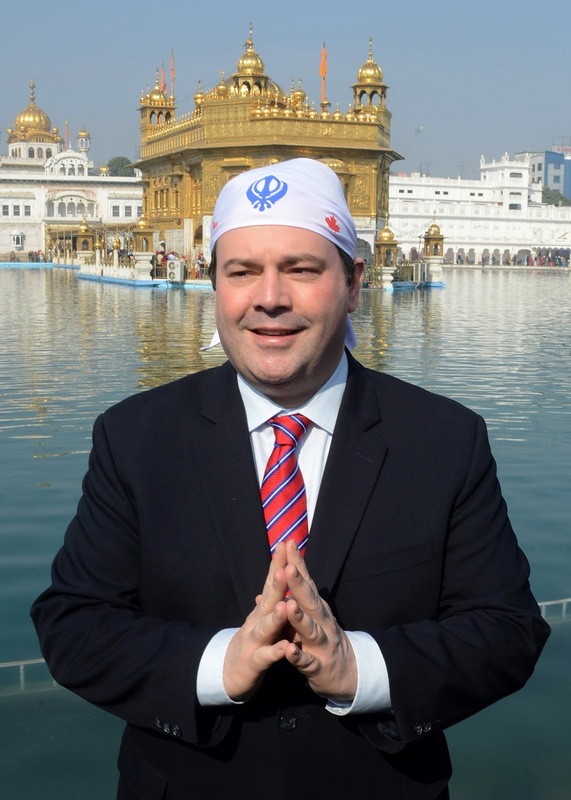 This man actually believes that Canada alone has discovered the perfect formula for making hyper third world immigration “work.” We know how to do it right. We know how to “integrate” migrants. How many migrants you ask? As many as want to come. At that point, reporters jumped in to ask him why, if that is the case, that he has sent out emissaries to tell would-be refugees that “we have rules.” We welcome and will continue to ALL those who are fleeing persecution, war and disaster, BUT they must follow the “rules.” What are these “rules” you ask? Well, it usually goes like this. You put one foot on Canada’s soil and say, “I am applying for refugee status,” and you’re in. Then you get food, lodging and a work permit while you wait. If your claim is rejected, you apply for an appeal. More time to settle in. If that too is rejected, you receive a deportation order. And then, in half the cases, you don’t show up for your “removal.” Chances are that you go to a big city (eg. Toronto) and melt away into the background. Since the government doesn’t keep track of who leaves the country, they won’t even know if you left or not. Moreover, you can rely upon quisling city councils to declare their cities as “sanctuaries” where local law enforcers are instructed NOT to cooperate with border security agents. In the meantime, if you can put down roots by siring a Canadian’s kid or having his baby, you’ll be harder to eject. Especially if you can find a credulous cleric to champion your cause and an idiot journalist or TV reporter to pull heartstrings. Churches come in handy that way, don’t they? Harbouring liars and law-breakers in the name of Christ. Theoretically, TV and press reporters have an obligation to hold politicians’ feet to the fire, but in matters of immigration and refugee policy, that is seldom the case. They typically don’t press home the attack. In this case, obvious follow-up questions to Trudeau would have been, so you welcome the world, all the tens of millions of people who are fleeing awful circumstances, but you assure us that they will be processed according to the rules. How many resources would it take to do that in an expeditious way? How much would it cost Canadian taxpayers? If 5 million Haitians, 50 million Central Americans, 1 million Afghans, 5 million Syrians, 20 million Africans and 30 million Asians want in, what will be the price tag? A trillion dollars? 5 trillion? 15 trillion? Enough to double the federal debt? Other questions would be, what do you mean by “integrate”? Integrate into what? Our mainstream culture? But you said that Canada doesn’t have a culture. And then you spoke of our “core values.” We have core values but no culture? Or is it that we have a culture but no core values? You continually tell us that “Diversity is Our Strength.” But how diverse shall our ‘diversity’ be? Thanks to the policy of mass immigration we went from 6 to 260 ethnic enclaves since your father left office. Are you aiming to make it 460? Will we be dialling 15 for English? Will we driving on both the left and right sides of the road as we please? Will some be practicing FGM according to their preference? Will MPs be able to give their maiden speech in Tamil or whatever their mother tongue was? Will some be able to practice polygamy and collect federal money for each wife? And — the million dollar question — will there be diversity of thought and speech in your Canadian utopia? I think we already have the answer to that one. But alas, no reporter can be found to pose such questions. We don’t make journalists like that anymore. Instead we have virtue-signalling parrots of political correctness sculpted by Institutions of Higher Indoctrination. I don’t know what they teach in journalism school these days but I doubt that independence of mind is a course requirement. More sickening than Trudeau’s rant is the certainty that the anti-immigration perspective will never be given equal time to make its case. Particularly not on the CBC, which is in large part funded by people whom the Prime Minister calls “angry white bigots.” They want our taxes, but they don’t want our opinions. But who does? I mean, we only reflect between 40-60 percent of public opinion on most points. No wonder polling firms refuse to run our questions. If you are looking for a political vehicle to give voice to your concerns on this issue, don’t look to Andrew Scheer’s Official Opposition Conservative Party. As reflected in his choices for the Shadow Cabinet, immigration-reformers, aka “the far right,” are not welcome in his “big tent” party. He is determined that his party not be portrayed as ‘anti-immigrant,’ ‘racist’ or heartless. The name of the game is not to salvage what remains of Euro-Canadian heritage, but to defeat Justin Trudeau. To do that, CBC panelists insist, the Conservatives must be Liberals. Wait, do you mean they’re not Liberals already? Let’s be honest. Is the nauseating cant that issued out of Justin Trudeau’s mouth in Kelowna any different than what came out of the mouth of Conservative Jason Kenny during his tenure as Minister of Immigration and Multiculturalism? Is Conservative Chris Alexander’s or Lisa Rait’s or Michael Chong’s world view substantially different than Boy Wonder’s? Is dog excrement so different than cat excrement? We need a revolution folks.